Most of us aren’t immune to the evils of credit card debt. We experience it at some point in our lives. Dave Ramsey will motivate you to pay off your debts. Period. He’s the man with the seven step plan that can really help you to kick your debt reduction plan in gear. He’s got a radio show and a daily podcast you can tap into. 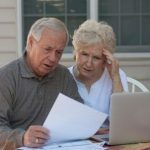 If you have tried everything and still find yourself struggling to pay off your credit card debts, then I encourage you to turn to the right people for help. The credit counseling industry is full of scammers and fraudulent people. Avoid these types by going to the National Foundation for Credit Counseling and seek out one of their members, a Consumer Credit Counseling Service. Or, you can enlist the services of the Pay Off Debt app to help you get rid of your credit card debt. If you’re number cruncher, consider paying off your debts by tackling the card with the highest interest rate first. Then, move to the next highest interest rate card. This will help you pay less in interest over time. What have you struggled most with in paying down debt? 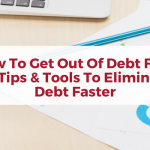 Any other strategies that you have found to be effective in finally getting rid of your credit card debt?